My heart was undoubtedly warmed this past week by Rory McIlroy’s wonderful one-shot victory over the seemingly ageless Jim Furyk at the Players’ Championship at TPC Sawgrass but there was, for me, a performance that trumped even that. 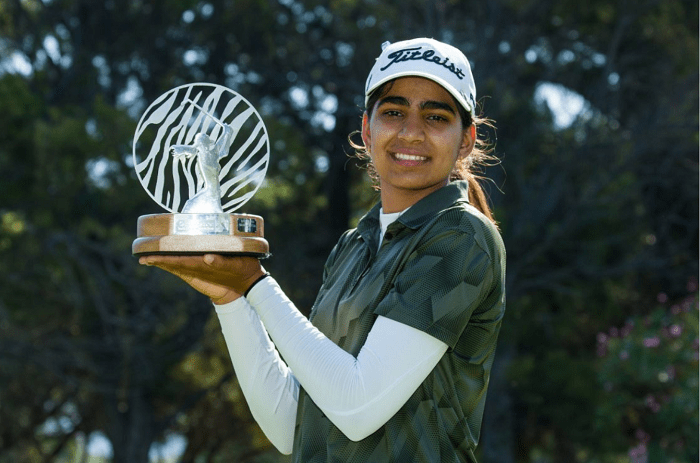 Diksha Dagar won the Investec South African Women’s Open at Westlake Golf Club in Cape Town. Remember her name. Diksha is from New Delhi, is 18 years old, a leftie, a professional for only a few months…..and she was born deaf, as was her brother Yogesh. They now both have cochlear implants which give them near normal hearing and both are passionate about the game of golf. That passion was nurtured by their father Narinder whose own introduction to the game had come through his army career. Colonel Dagar got down to low single figures and subsequently began to coach six-year old Diksha simply because there was no other option available. 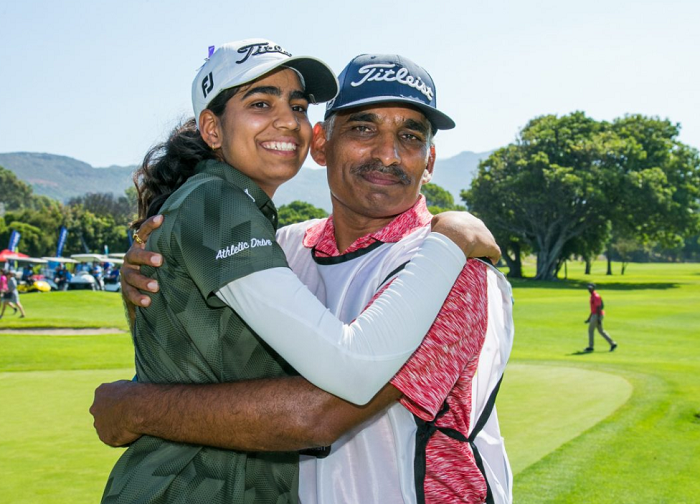 His unshakeable belief that his daughter had a world-class talent has played a huge part in Diksha’s journey and it was a special moment at the weekend when, with Dad on the bag, she became the youngest Indian woman to win on the Ladies’ European Tour – and in her rookie year, to boot. It’s interesting how patterns can repeat in sport. Remember Aditi Ashok? The gracious, charismatic player from Bangalore who was the first ever Indian woman to win on the LET? 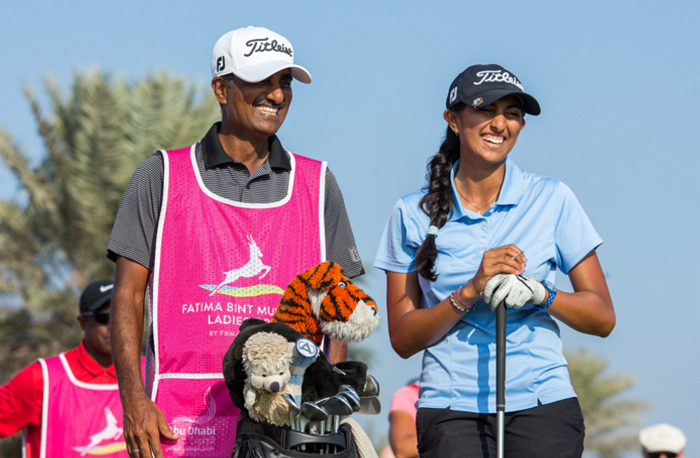 Her first tournament win was the 2016 Hero Women’s Indian Open in her rookie year – and, like Diksha, she had her Dad on the bag for her big breakthrough. That year Diksha won low amateur honours and was inspired by Aditi’s success to keep working hard. That inspiration is not drying up either. Aditi went on to win three times in twelve months on the LET and is now the first Indian player out plying her trade on the LPGA in America. This is surely a path that Diksha will be itching to follow. The Ladies’ European Tour has had its well documented troubles for years now, but forty years on from its inception it is still managing to keep going and it is as important as it always has been that this platform exists for these young dedicated female athletes. No one is saying that the LET is currently in a position to challenge the LPGA in terms of global reach and financial opportunity, but the tour does occupy a vital place in the journey that international players need in order to realise their dreams and achieve their best. The LET is not a second-class tour. We simply need to appreciate the importance of the position they hold in the grand scheme of things and realise that, with time, things can change. Male golfers have had this opportunity for years now, enjoying a strong, thriving European Tour. The result is that we are now at a point where we see European Tour players increasingly crowding the tops of leaderboards out in the US. And, for the last five years or so, the traffic has been going from west to east as well. American players of the calibre of Brooks Koepka and Peter Uihlein spent invaluable time playing in Europe, recognising they could become more complete players by doing so. It is entirely feasible that, given support and backing, the LET can tread a similar path to the men’s European Tour and build a strong, recognised, stand-alone tour that produces global winners without the necessity of spending years Stateside. As I say, the men players have enjoyed this strong platform for a while and it’s high time the women enjoyed a similar opportunity. Please support them. So, once again, courtesy of the LET, we have the chance to witness a burgeoning career and I will certainly be following Diksha Dagar closely in her first year on tour. When asked what advice her Dad gave her coming down the stretch last weekend she replied, “Just keep enjoying your game.” Good advice for us all, I think. Fantastic win for the rookie in the start of her professsional career! How cool to have a lefty woman winner too! The LET tour has been just great from the start and always fun to play. What a wonderful experience and education to travel the world, experience different cultures, languages, foods etc AND make some money playing a sport we all played for fun and glory! It deserves sponsorship and everyone’s support!